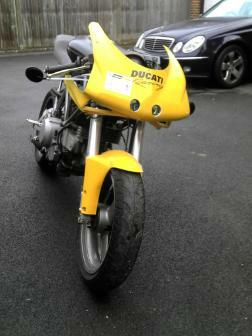 A 94 model Ducati 900SS prepared for a customer who wanted a project but not the hassle of re-looming. The front end is Monster based to help with fitting raised bars. Standard exhaust modified to single side and 'stubby'. Aftermarket 916 style seat unit. Under seat oil cooler. Now the customer is going to finish it off. 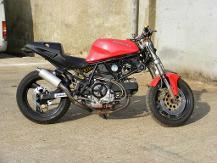 A Ducati 900SS cafe racer that started life as a 750 but is now built in partnership with the owner. Converted to single side exhaust with a stubby end can. Adjustable cam pulleys fitted, machined custom top yoke, billet intake trumpets. Just need to finish the loom!! Yes it is quite loud when running. Frame de-lugging booked for next year. the powder coat was done with a view to refitting the fairings - the project just developed, as always. 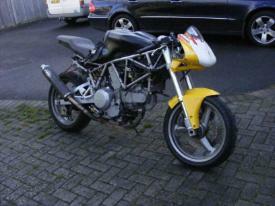 A Ducati 750SSie that is being heavily modified by us in partnership with its owner. 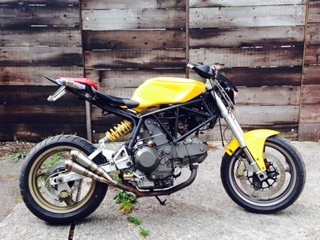 A Ducati 749 tank and seat unit is grafted on and wide bars fitted. Picture will be updated as progress continues. Finally ended up with a 900SS engine and a pillion seat. Single sided exhaust remanufactured from the original. Used as a day to day bike and did two trips to Germany in January to a rally in the mountains!! 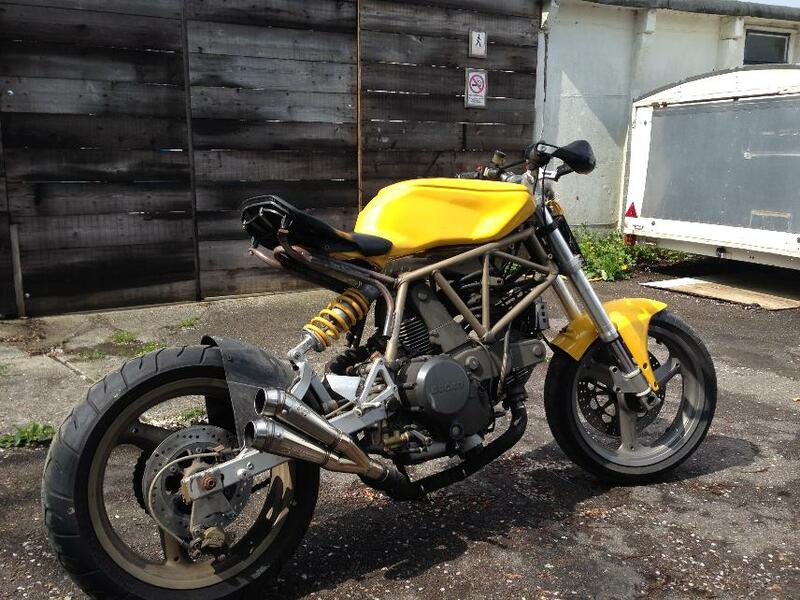 Originally a Ducati ST4 would you believe!! 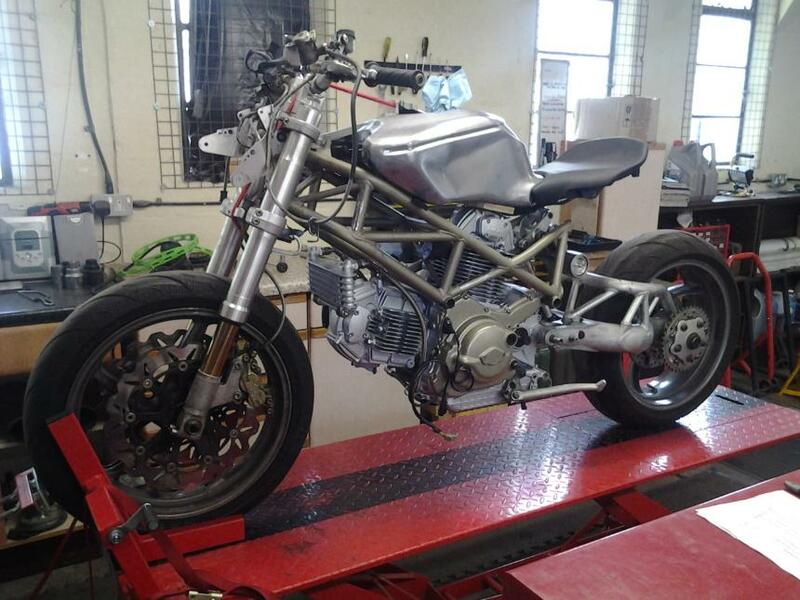 Customer fitted the Monster swing arm and super bike forks using our manufactured top yoke. We modified the frame, built the tank and seat unit interface. We also fabricated the exhaust using the original as a base converting it from a two side to a single side system. Now back to the owner to finish of the easy bits!! 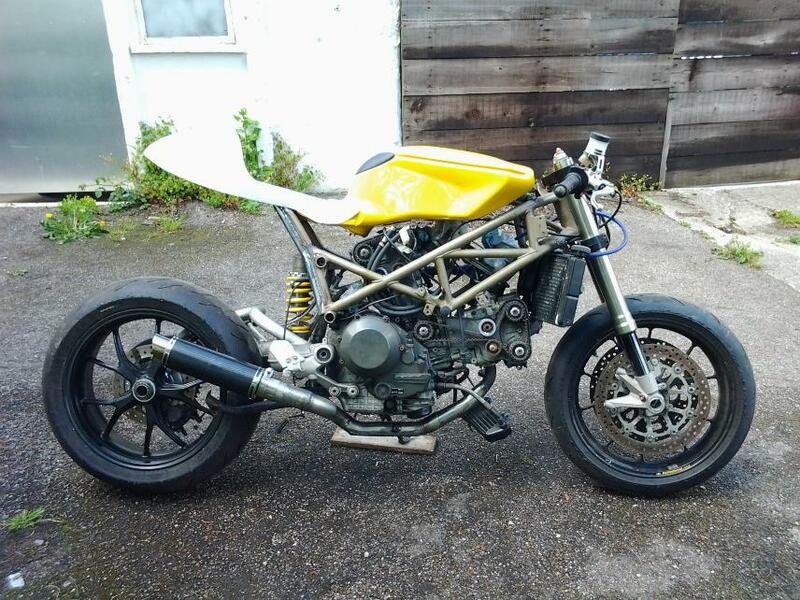 A Ducati ST2 frame matched to a Monster S4R front and rear end, A 900SSie engine and a 999 tank and seat unit. Still work in progress but should be stunning when finished. 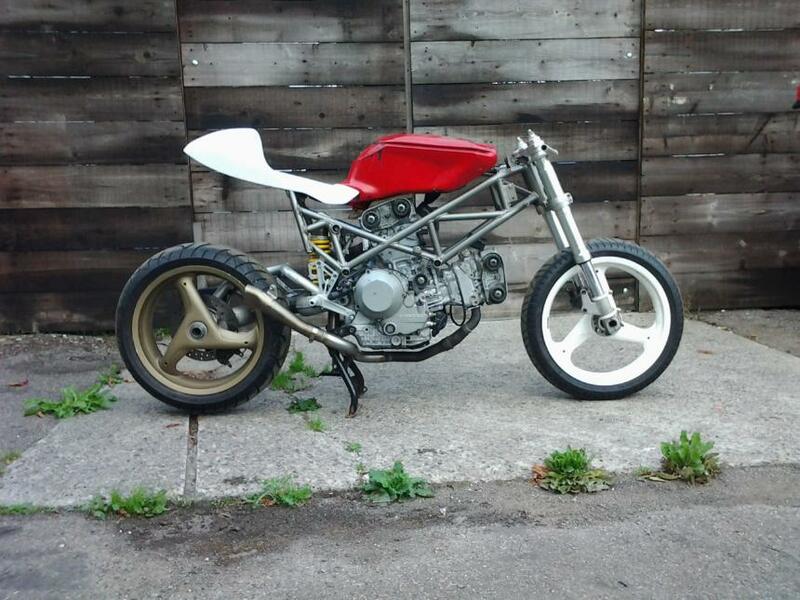 A Ducati ST4 frame again modified to fit a 999 tank and a Radical seat unit. We made the exhaust using standard parts modified to be single side exit.The owner wanted to keep the original foot peg mounts so its a slightly different design. Now of back to its owner who will be finishing of the build. Below are a few pictures of the curent bikes being built - some are digitaly adjusted to give an idea of the concept to customers.